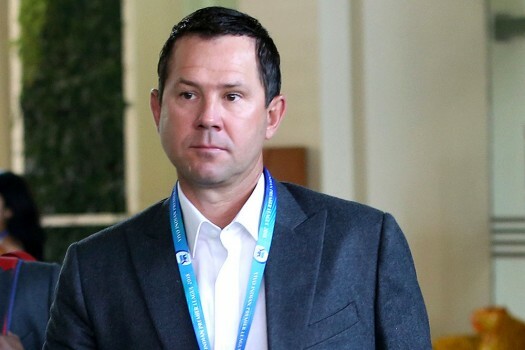 Former Australian cricketer and Delhi Daredevils team coach Ricky Ponting arrives for the first day of the Indian Premier League player auction in Bangalore. Mumbai Indians stars Kieron Pollard, Harbhajan Singh, Ricky Ponting and Rohit Sharma at Etihad Airways' official Airbus A380 India launch event in Mumbai. 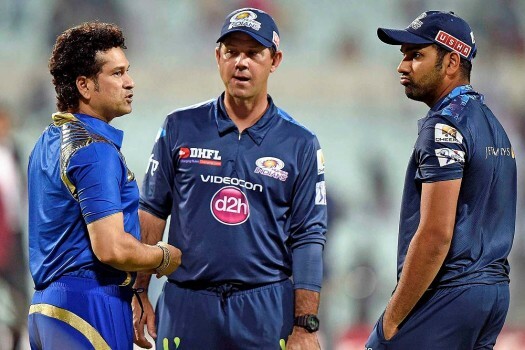 Mumbai Indians icon Sachin Tendulkar, captain Rohit Sharma and coach Ricky Ponting during their IPL match against KKR at Eden Garden in Kolkata. 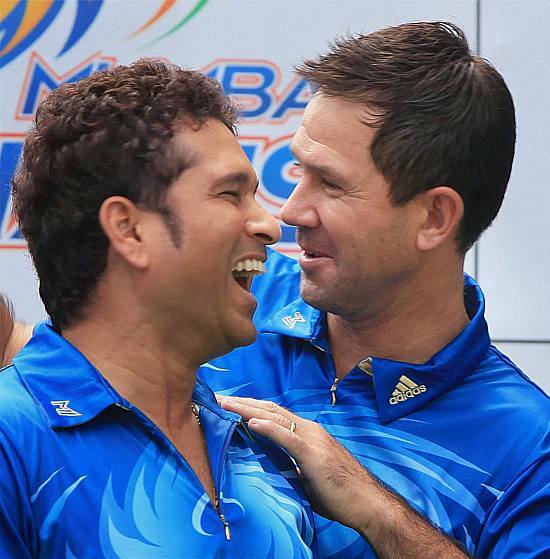 Mumbai Indians players Sachin Tendulkar and Ricky Ponting during an event for underprivileged children 'Education For All' in Mumbai. 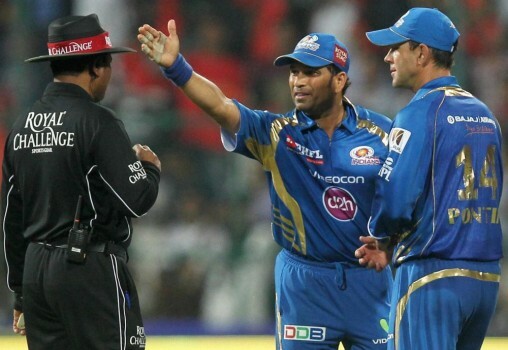 Mumbai Indians Sachin Tendulkar and Ricky Ponting having a word with Umpire during the IPL 6 match against RCB at Chinnaswamy stadium in Bengaluru. 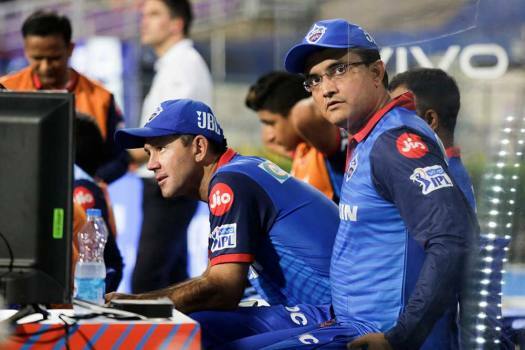 Mumbai Indians cricketer Sachin Tendulkar gives his bat to teammate Ricky Ponting during a practice session in Bengaluru on Monday ahead of the IPL matches. 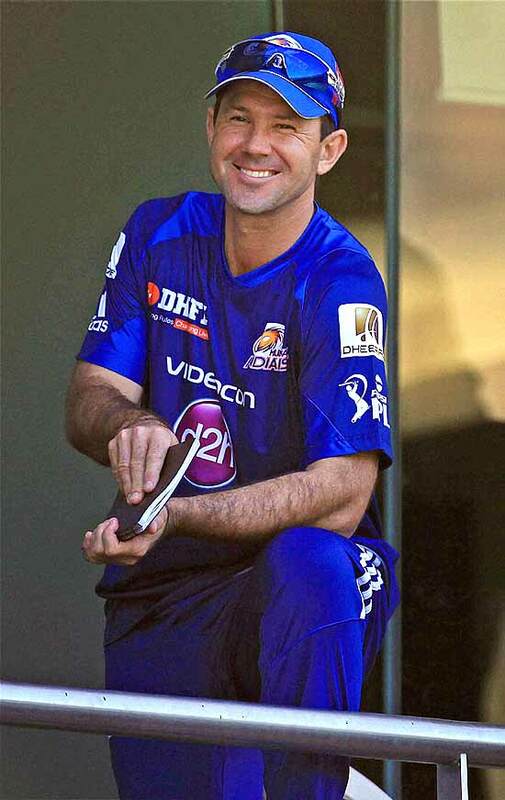 Mumbai Indians captain Ricky Ponting at a practice session in Mumbai. 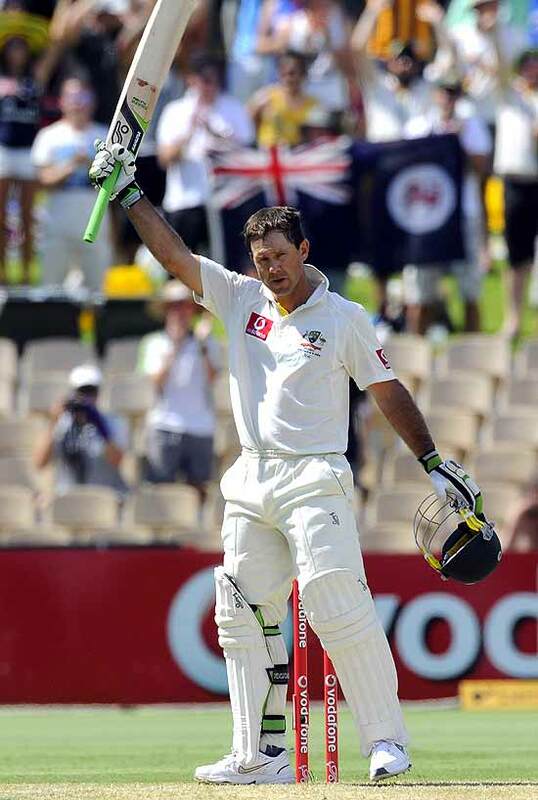 Australia's Rcky Ponting celebrates his 100 runs in their cricket test match against India in Adelaide, Australia. 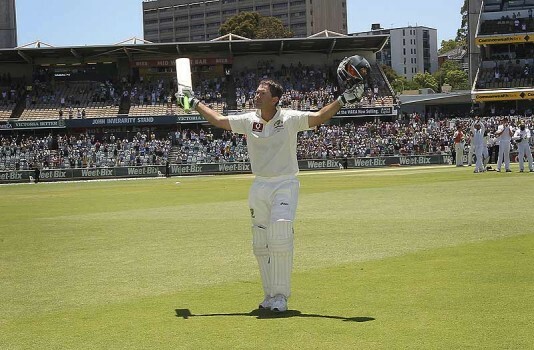 Australia's Rcky Ponting celebrates his 100 runs in their cricket test match in Adelaide against India. 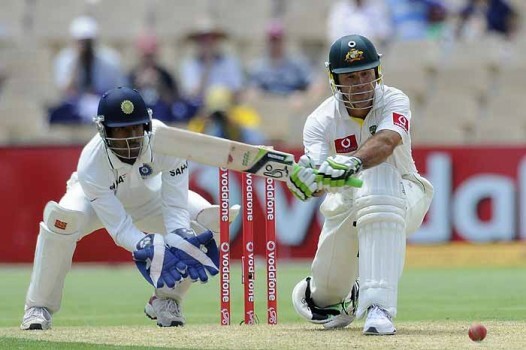 Australia's Ricky Ponting bats during the cricket test match against India, in Adelaide, Australia. 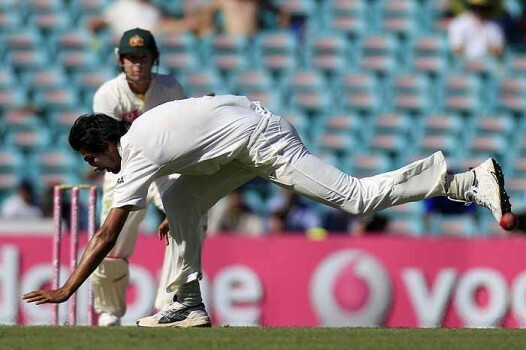 Ishant Sharma, front, reaches out in an attempt to filed a ball hit by Australia's Ricky Ponting, back, in their cricket test match at the Sydney Cricket Ground in Sydney. 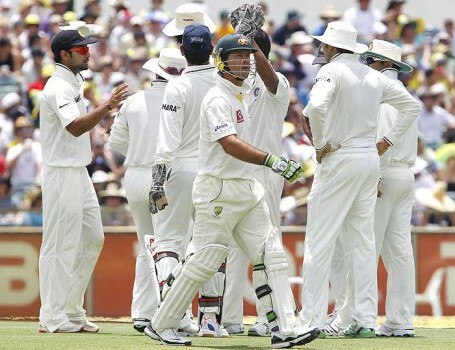 Australia were bundled out for 300 in the first innings after which India enforced the follow-on. 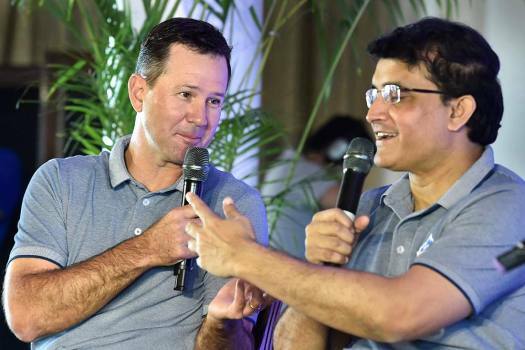 Pointing, under whom Australia dominated world cricket, cautioned Australia that the remaining two venues are more suited to Indians. Already hailed as one of the greats of the game, Kohli is unrivalled when it comes to scoring runs in contemporary cricket. Ricky did finally lose that number. It was time. I didn't get to be part of the execution squad but—boy!—didn't it shoot straight? We had a 1-0 lead in 2001 too, but can India reverse the situation this time round? The Indians are no chokers. 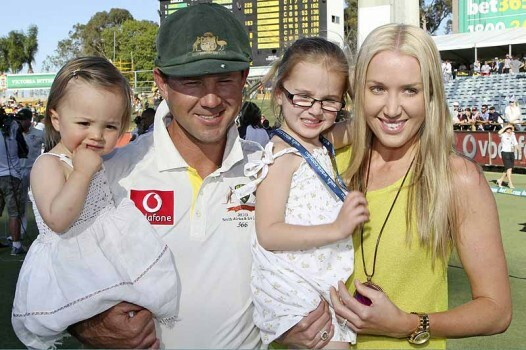 They looked fatigued and we played our best cricket. We're finally hitting our stride. 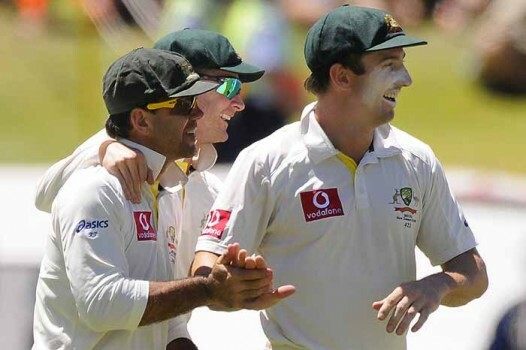 And WACA will be playing on the Indians' minds.